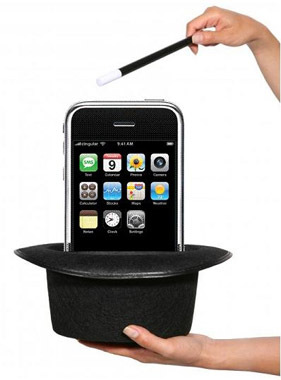 Hello friends, here now I am going to tell you some useful tips and tricks for your iPhone. It will help you to use iPhone shortcuts. iPhone is the spectacular invention in mobile category by Apple. Recently Apple launched latest version iPhone 4S. Some people may find that using iPhone is little harder than other mobile. But there are several useful shortcuts available in iPhone which makes your life better using iphone. If you are reading a pdf file or any other files using your iPhone applications and you may want to travel to many pages than reaching to top is tidies job. Also in safari when you searching information than address bar get disappear. In these two cases you can scroll to the top of the page by tapping on the "top bar" having time , battery information. In safari while searching the web sites you don't need to type ".com" , ".org" etc. 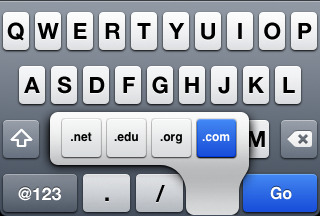 You can find .com button in keyboard. Holding .com button than popup comes up with ".net" , ".org" and ".edu". If you need to take snap of current screen of your iPhone. First press and hold "Home" button and then click the sleep button once. Screen will flash white once and the snap will stored in your camera roll. If you are searching web pages you can save images from sites. 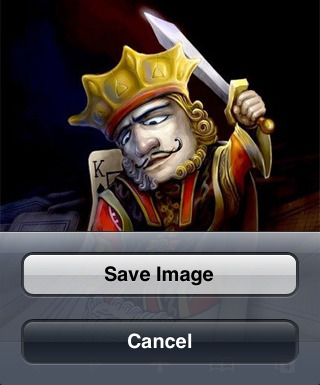 Touch the image and hold your finger until a menu comes up and select save images and the photo will store in photo/camera roll. 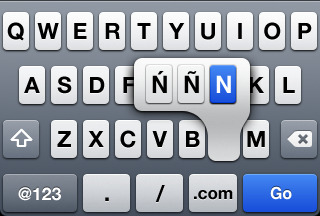 Double tapping the "space bar" will automatically add period at the end of your sentence. You don't need to go "symbol page" where period is located. If you are using English keyboard and you need to add some German or other special type of alphabets than you just press and hold that letter and than popup comes up. How to crack Idea , Airtel , Reliance , Vodafone 3G Data card E155X?